Kazakhstan’s Parliament has approved a set of wide-ranging amendments to the country’s Religion Law, refusing calls from civil society groups for a legal review by an independent body. 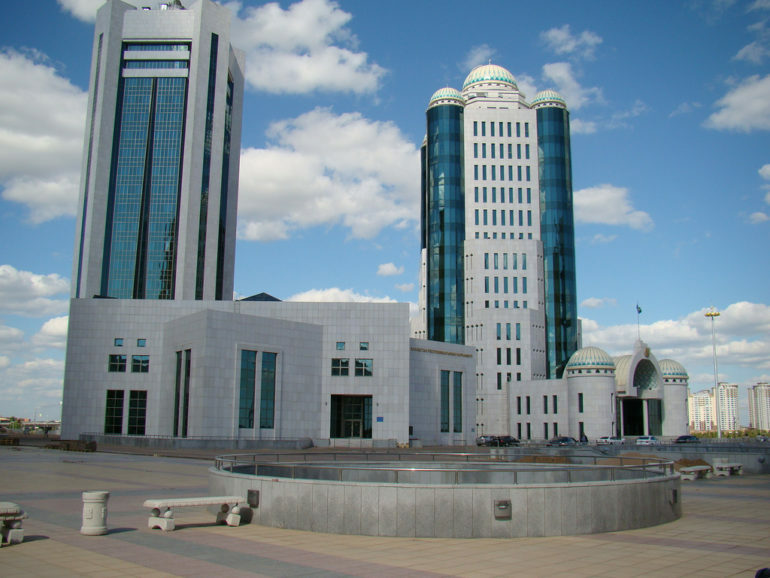 The new set of restrictions, which are expected to further infringe upon religious freedom and have been criticised for violating international human rights law, were passed by Kazakhstan’s lower house (the Mazhilis) on 23 May. “The [Parliamentary] Working Group which prepared the draft amendments rejected an appeal by Kazakhstan’s Human Rights Ombudsperson, Askar Shakirov, that the text should be sent to the Organisation for Security and Co-Operation in Europe’s Office for Democratic Institutions and Human Rights (OSCE ODIHR) in Warsaw for a legal review,” regional news service Forum 18 reported. Kazakhstan is a member of the OSCE, but decisions by the body are not legally binding. An appeal from civil society groups to have the draft legislation sent for review to the Council of Europe’s Venice Commission, of which Kazakhstan is also a member, was also turned down by government. Although the final draft of the amended law is not publicly available, Forum 18 said a previous version that it had seen “introduces for the first time ‘destructive religious movement’ and ‘religious radicalism’ as legal terms”. It also reportedly “increases state controls on the exercise of freedom of religion or belief still further [and] will ban state officials being founders or members of religious communities”. Another significant change is that it will be more difficult for children under 16 to attend a religious service, as World Watch Monitor has reported. Russian Orthodox and Protestant leaders had raised their concerns over these restrictions with the working group earlier this year, said Forum 18. Human rights defender Yevgeni Zhovtis said the new law was “conceptually wrong legislation”. “It does not meet any international standards and obligations, undermines the principles of human rights law and restricts the right to freedom of religion or belief, sometimes denying it completely,” he told Forum 18. Once the new legislation is with the Senate, a working committee will consider it. When approved, it will go through two readings in the Senate and will then be sent to the president, who will sign it into law. 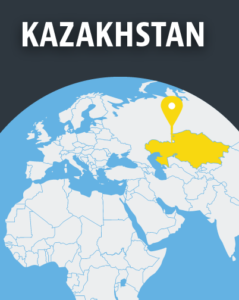 Kazakhstan is 28th on the 2018 Open Doors World Watch List of the 50 countries where it is most difficult to live as a Christian. Last year 279 individuals, groups and organisations were prosecuted for conducting religious activities. Punishments included fines of up to 680,000 tenge (US$2,100), jail sentences, bans on their activities, deportations, and seizure of goods.